You want the very best for your patients—and we want the very best for you. Whether you are considering working with a sleep scoring service provider or have already begun using a service, we encourage you to use this service assessment tool to ensure that you are getting the best value from your sleep scoring provider. To profit from our expertise right away, give us a call (toll-free) at 1-800-905-0348. For top quality sleep scoring services, look for a company that hires only registered polysomnographic technologists (RPSGT). Ask for the BRPT certification credentials for every technologists scoring for your account. 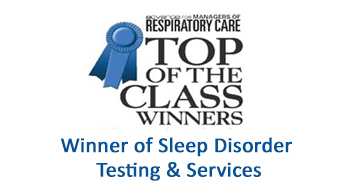 Sleep Strategies hires only registered polysomnographic technologists. Our hiring guidelines are extremely comprehensive and considered among the industry’s best. For the best accuracy, sleep studies should be scored manually by a registered technologist as software scoring is not as accurate. Our registered technologists manually score your entire sleep study, epoch by epoch. The sleep scoring company should carry the same level of insurance as your sleep laboratory. This should include general liability and errors and omissions insurance. Ask for verification of the certificate of insurances before moving forward and sending studies. Sleep Strategies carries insurance coverage—including errors and omissions insurance, and general liability insurance—that is above industry standards. The company should have an experienced management team and identified account representatives to manage your account and answer your questions. Be sure that the person scoring your studies is NOT managing your account. Sleep Strategies has a designated management team to assist you in managing your account and to deal with any issues that may arise. The company should meet HIPAA standards. 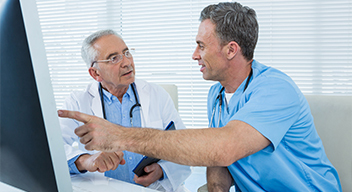 Sleep Strategies puts patients’ confidentiality first. We are fully HIPAA-compliant and meet or exceed industry standards for data handling. Using the Internet is the fastest and easiest way to transfer files. Ensure that your sleep scoring service has a system that is user-friendly and, above all, secure. Sleep Strategies’ web-based transfer application exceeds HIPAA guidelines. It’s easy to use and takes only a few minutes to implement. The scoring company should have a designated quality-assurance department to ensure quality control and address issues. The department should have an internal quality program to routinely review all scoring technologists. Sleep Strategies has a designated quality-assurance department to ensure that our scoring adheres to the highest standards and remains the preferred choice for sleep laboratories. Our quality department is industry recognized as it offers inter-scorer reliability and audit-reviews on all technologists. The company should offer a variety of turnaround times—same day, 24, 48, or 72 hours—and pricing. Sleep Strategies offers a variety of scoring turnaround times to meet the most demanding deadlines. But our quality never waivers. The scoring service should guarantee the turnaround of sleep studies, regardless of which service you have chosen. Ask what happens if the provider misses a deadline. Sleep Strategies guarantees its turnaround times or the scoring is FREE. The company must have experience working with leading hospitals, private sleep laboratories, pharmaceutical companies, home-care organizations and universities. What experience does the company have in the sleep medicine industry? Are they recognized leaders in the field of sleep medicine? Sleep Strategies is highly regarded as the premier sleep scoring company. Our hiring practices are considered the most rigorous in the industry. Our management team and registered scoring technologists are qualified and experienced industry veterans. Ensure there is a “No start-up fees” policy. There are no start-up fees at all. Ensure there is a “No cancellation fees” policy. There are no cancellation fees at all. Ask how long it takes to begin sending patient studies. We can begin your scoring process within hours, once all necessary documents are completed/returned. Ensure that the scoring service can adjust to your needs for the volume of studies to be scored. Sleep Strategies has no minimum requirements for the number of studies you send. We respond to your needs based on your laboratory’s internal requirements. Ensure the company has enough registered sleep technologists on staff to handle your requirements, even if they increase significantly over time. Sleep Strategies has the largest team of registered sleep technologists on staff. Our company has the ability to grow with your laboratory.